Towards the end of the sixties and into the seventies, Swedish television journalists travelled to the United States to document the revolutionary Black Power Movement; to offer an outside perspective on the struggle for freedom, equality and civil rights endured by African Americans at the time. The footage aired briefly on Swedish National Television before being consigned to the network's basement archives. After 40 years of hibernation, it has re-emerged in a compelling depiction of empowerment. 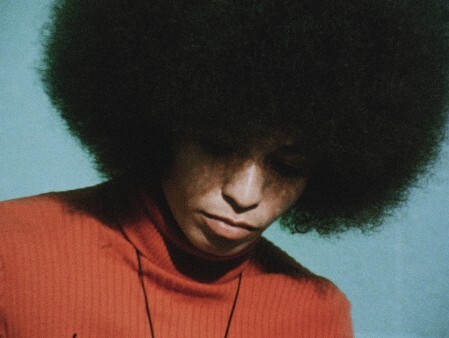 In The Black Power Mixtape 1967 – 1975, director, Göran Olsson, pieces together startling footage of revolutionary leaders including Stokely Carmichael, Eldridge Cleaver and Angela Davis in a series of blazing, unguarded interviews. Fresh interviews with leading African American artists, activists, musicians and scholars are merged with the archival 16mm footage, and underscored with fitting contemporary beats by the likes of Ahmir “Questlove” Thompson and Om’Mas Keith. By mirroring the mixtape format popular in the 70’s, Olsson creates a captivating cinematic and musical journey that appeals aesthetically across the generations. The original footage was condemned by the United States media, namely TV Guide, who argued that it focussed solely on negative aspects of American society with total disregard for the positive. Olsson explains that within the United States the Black Power Movement had either been ignored by the media, or treated as a burgeoning terrorist movement. He emphasises that the film offers an outside perspective free of prejudice and loaded assumptions, not a definitive truth. As Angela Davis outlines, “it’s not about black and white - it’s about telling a story”. And what a story it tells.